Last Tuesday, children from the Mary Mitchell Family and Youth Center came to visit the Gustiamo warehouse to make Pasta al Pomodoro! 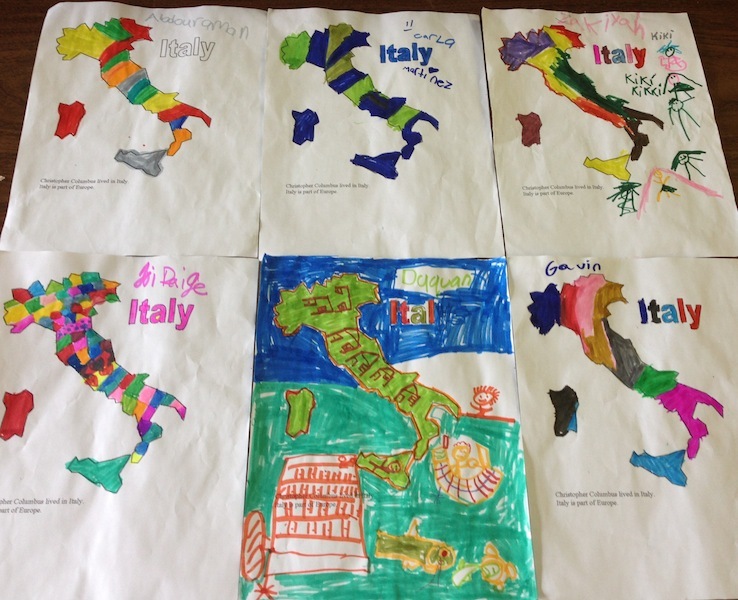 They arrived full of energy and brought us beautiful pictures of Italian maps that they colored in. They also sang us a song about the many ways to say hello in different languages. We asked them questions like “what continent is Italy on?” and they said “Europe!” So smart. The children ranged from ages five to seven and were so adorable we couldn’t wait to cook with them. For the pasta, they brought us basil that they picked themselves from the Mary Mitchell garden. Many of the kids had never tried basil before and Beatrice told them to rub it between their hands to smell the delicious aroma! They all loved it. They then crushed San Marzano tomatoes with their hands, and mixed the pasta with the tomatoes and basil. Just a drizzle of Pianogrillo EVOO and some sea salt from Trapani and the kids had made a delicious, messy meal! 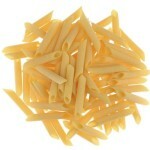 The warehouse was silent for just a moment as everyone ate the pasta. We all had a great time! This was a fantastic experience for the children to learn more about local businesses in the area, and the importance of eating simple, healthy ingredients. The kids’ counselor, Lilly, told us “I really enjoyed the trip too. The children were talking about it the entire week and today I asked them a few questions for their summer scrap book and they remember Gustiamo and that pasta!” The Mary Mitchell children brought the Gustiamo team a lot of laughter and joy and we cannot wait for them to visit again! Click here to see a couple more photos. Grazie and Thank You for allowing the children to take a trip to Gustiamo! I am most happy when the children are able to explore the neighborhood they live in and see the good in it. Gustiamo is an example of the good in the ‘hood.